Gov. Greg Abbott on Monday met with Israeli Prime Minister Benjamin Netanyahu in Jerusalem to discuss the Texas-Israel relationship and reiterate Abbott's opposition to Iran, according to the governor's office. During the meeting, Abbott announced a series of new laws he would urge state lawmakers to pass in 2017 that are intended to curb public funds from flowing to Iran — a nation whose relationship with Israel has long been tense. 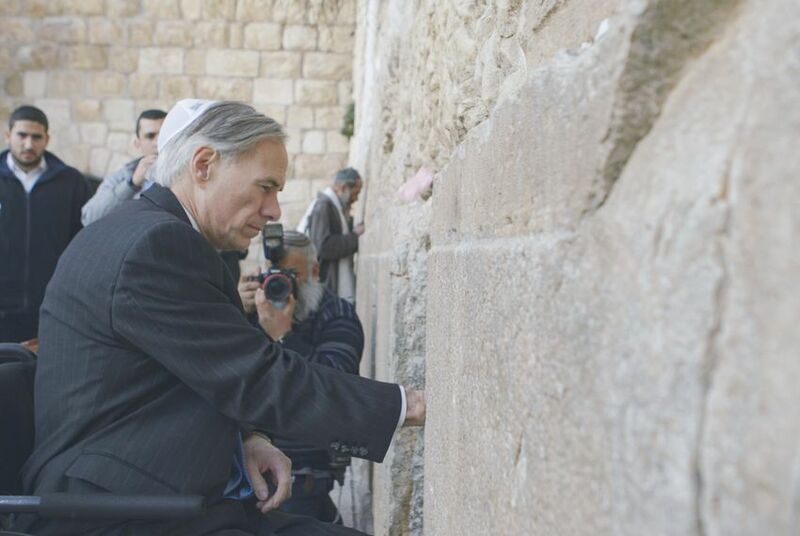 "As governor, I am a steadfast supporter and friend to the State of Israel — and the State of Texas' policies will reflect that," Abbott said in a prepared statement. The governor seeks laws that would ban local and state government entities in Texas from making direct investments in Iran or contracting with companies that conduct business with Iran. Current state law prohibits Texas' public retirement funds from making investments in Iran, but Abbott's office said his proposed laws would close several "loopholes" that nonetheless allow public funds to flow into Iran's economy. A spokesman for Abbott could not immediately provide an estimate of how many public funds from Texas are currently being invested in Iran. Though the governor's ability to enact meaningful foreign policy is limited, his announcement carries political significance at a time when U.S. leaders seek to make diplomatic changes with Iran. Abbott's announcement comes on the heels of President Barack Obama's "Iran Deal," which on Saturday lifted oil and financial sanctions on Iran after international inspectors found that the country had made good on promises to dismantle much of its nuclear program. Israel's leadership under Netanyahu has opposed the deal, saying Iran's nuclear capabilities put Israel in jeopardy. International corporations meanwhile see a significant opportunity to do business in a foreign market that has long been off-limits. This is Abbott's third international trip as governor. His current travels will include a stop in Switzerland. He previously made economic development trips to Mexico and Cuba.